Alexandria, Va. - Visit Alexandria celebrated National Travel & Tourism Week today with the launch of Alexandria 101, a resource and tourism training for frontline staff throughout Alexandria that will include quarterly workshops and monthly one-on-one sessions to help businesses maximize revenue from tourism and provide visitors with extraordinary service. Today&apos;s workshop at City Hall provided member businesses with an orientation to Alexandria history, its dining scene, top attractions and tours, hotels, parking and transportation information, and concluded with a walking tour of Old Town. Visit Alexandria staff also presented an overview of the impact of the city&apos;s tourism industry. "Just look at the numbers. Travel supports 15 million jobs in America, including 6,000 jobs right here in Alexandria," said Patricia Washington, president and CEO of Visit Alexandria. "With the launch of Alexandria 101, we&apos;re celebrating what travel means to our community and helping local businesses to continue to provide visitors with an extraordinary experience, from the moment they book their trip to the time they check out of our hotels." • Saves Alexandria households an average of $300 per year in property taxes. 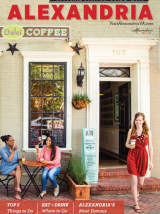 According to a 2014 study, for every dollar spent by the City of Alexandria on campaign advertising, $171 was generated in visitor spending at local businesses and $6 came back to the city in tax revenue. Visit Alexandria is a private nonprofit membership organization whose mission is to generate tourism and meetings that increase revenues and promote the City of Alexandria, Virginia and its assets. Tourism contributes both to the economic health of the city and quality of life for its residents.